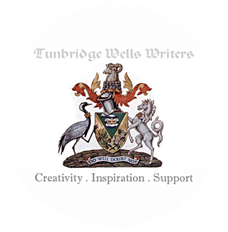 Whether you’re a writer or a reader, whether you like fiction or non-fiction, whether you’re from Tunbridge Wells, Tonbridge or Timbuktu, we’d love you to get involved. Read and comment on our blog, join this site or our Facebook group to receive news and updates, contact us to give feedback and suggestions, or even take the plunge and come along to one of our meets and try to get a word in edgeways. In Person: If you live in West Kent or the more easterly bit of East Sussex and would like to meet up to talk writing, editing, publishing and more, why not come along to one of our meets? We’re sporadically entertaining and mostly harmless. We meet every other Tuesday at 20:00 in the St. John’s Yard public house, St. John’s Road, Tunbridge Wells. Check our event calendar on the right for specific dates and for details of other events we’re involved in. I’m interested in coming along to one of the meets but I’m only 16 and I don’t know if your looking for members that young. In any case, I’m very interested in meeting other writers and hopefully sharing some of my work so if you could let me know whether or not that would be possible it would be much appreciated! We’ve never really thought about age limits! You would be the youngest there, but if you can live with that and are happy to help some of the other members with their zimmer-frames etc you would be more than welcome. Coincidentally, we’ve just had a chap called Will who’s your age contact us re the Word Up event tonight, so you may find yourself only the second-youngest on comparing DOBs. Meetings are ‘officially’ done now until September 8th, but a smaller group will be meeting casually at the same venue (St John’s Yard) between times. If you fancy some ‘Writers Lite’ during the skool hols just check the Facebook page for dates. Thank you! I may come along to the September 8th meeting if I can – the zimmer-frames aren’t a problem for me. I look forward to meeting you. I don’t think I’ll be able to make it tomorrow but I think I might come along to the next meeting? Planning to come along tonight, so watch out for the old duffer looking a bit lost at the bar. I’m 27 years old, have lived in Tunbridge Wells area for about three years, and haven’t written since I was a teenager. I was hoping I could pop along to your next meeting on 19/4/16 – what’s the format, is it just a few friendly pints, or do people bring material etc along? Because I’ve got nothing! Still planning on coming along tonight. How do I recognise you all? Any distinctive peg legs or bowler hats etc? I’ve just recently moved down to the Tunbridge Wells area and would be interested in attending your upcoming meeting on Tuesday (6/9). Just wondered if there is anything I need to bring with me or any preparations I need to make if I was interested in joining you guys? Yeah, should be there tomorrow for 8pm unless something urgent stops me which I don’t currently foresee. Hopefully it will be easy to recognise me as I will be the black guy wearing glasses when coming in.